Lead counsel representing coal mine operators in a number of federal citizen suits under the Clean Water Act and SMCRA that alleged violations of DMR's and selenium discharges. Represented developers in Clean Water Act Citizen Suit challenging definition of waters of the United States. Represented manufacturing company in mitigating enforcement for air permit violations. Represented site developers in Region IV EPA Stormwater enforcement action. Represented developers in successfully appealing an overbroad "waters of the state" determination by Water Control Board which resulted in the revocation of developer's aquatic resource alteration permit. Led PRP groups in negotiating complete release with TDEC for all present and future claims at the respective sites. Represented City in an appeal of conditions contained in its NPDES permit before the Water Quality Control Board. Included in the appeal was a challenge to the placement of the receiving stream on the state's 303(d) list. He was successful in getting the Davidson County Chancery Court to strike down and invalidate the list. Assisted mining interests with the Department of Environment and Conservation's mining agency in revising NPDES requirements related to selenium and specific conductance. Successfully defended surface coal mining companies in antidegradation permit appeal by citizens group. Successfully defended municipal authority in third party citizen group challenge to individual stormwater permit (one of only three challenges in Tennessee). Represented Municipal Government in Stormwater Enforcement by TDEC and EPA. Represented large Municipal Government as the MS4 in EPA lawsuit on Stormwater. Represented chemical company in developing successful defenses to EPA RCRA enforcement. Represented manufacturing company in enforcement action by municipality for waste water pretreatment. Represented client in negotiating a brownfield agreement to buy radioactively contaminated property out of bankruptcy, eliminate past liability for the site and negotiate payments from the State for cleaning up the site for productive industrial use. Bill is the chair of the firm's Environmental Practice Group and has a wide range of experience in environmental law at the state and federal levels, including natural resource law, mining, remediation, negotiation with regulatory agencies in environmental matters, superfund litigation, RCRA matters, brownfield redevelopment, wetlands, water quality, radiological waste and compliance, and air pollution control. Bill also practices in the Real Estate Practice Group. Mr. Penny regularly counsels clients on environmental compliance issues and represents businesses in permit appeals, enforcement, and advocacy before state environmental boards and agencies, including the Tennessee Department of Environment and Conservation, the U.S. Environmental Protection Agency, the U.S. Army Corps of Engineers and the U.S. Office of Surface Mining Reclamation and Enforcement. He also represents business interests in state and federal litigation related to environmental matters, including citizen suits under the Clean Water Act, Resource Conservation and Recovery Act and Surface Mining Control and Reclamation Act. He represents mining interests, in contentious and complex mining, land use and environmental matters. Bill’s clients include contractors, manufacturing companies, local governments and other individuals in environmental matters. He also represents a number of trade associations on environmental matters, including the Tennessee Mining Association and the Homebuilders Association of Tennessee and serves on the Board of Directors of the Tennessee Chamber of Commerce and Industry (Tennessee Manufacturers Association). He served as general counsel for the Tennessee Department of Health and Environment and, subsequently, the Department of Environment & Conservation for more than eight years. He is a frequent speaker at local, state and national seminars dealing with environmental law, and is an instructor of environmental law at the Nashville School of Law. 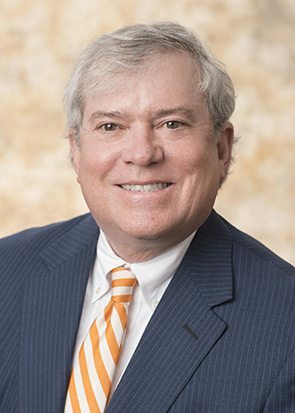 Mr. Penny is the principal author of the book A Practical Guide to Tennessee Environmental Law and A Practical Guide to Tennessee Administrative Law. In addition he is a co-author of the ABA’s Brownfields Third Addition, a Tennessee editor for BNA’s Environmental Due Diligence Guide, and has written the Tennessee Chapter for the ABA publication, Institutional Controls at Brownfield Sites.